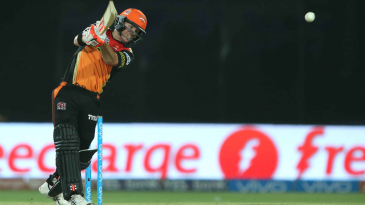 An unbeaten 58-ball 93 from David Warner, his eighth half-century of the season, steered Sunrisers Hyderabad into their maiden IPL final. 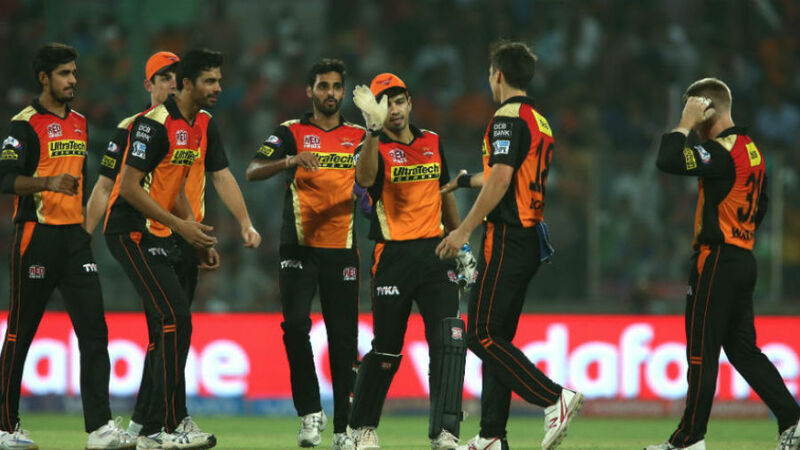 Warner batted through a tense chase of 163 even as Lions chipped away at the wickets, and found a calm lower-order ally in Bipul Sharma at a critical juncture when Sunrisers needed 46 from 25 balls. They won with four wickets in hand. Bipul has excellent first-class numbers for an allrounder - a batting average of 43.45, a bowling average of 28.98 - and is perhaps more of a batsman than a bowler at that level: he has six hundreds and nine half-centuries in 38 matches, but only 76 wickets and two five-fors. He has had more opportunity to bowl his left-arm spin rather than bat in his IPL career, though he showed his ball-striking ability in the Eliminator, hitting two clean sixes off Morne Morkel in the final over of Sunrisers' innings.